Brown did not mention any names, but it does reveal that Cleveland is unlikely to trade down from the No. 8 pick to take quarterback Paxton Lynch. Maybe another team throws a wrench into the Browns’ plans and they end up doing that anyway. 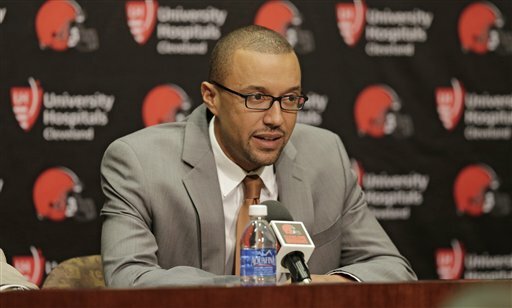 Maybe the Browns take “their guy” at No. 8 and then trade up with some of their extra resources from the trade with the Eagles to still take Lynch in the middle of the first round. Maybe the whole thing is a smokescreen. Who knows? What we do know is that we’ll find out in two days. We’ll keep you posted on all Browns news leading up to the draft.